Santa is coming!!! We have to prepare! WE have 12 days left to do our Christmas shopping!!! At FINS we will make it easy for you! We have gift cards, Candles and FINS Gear to put under the tree this year!!! 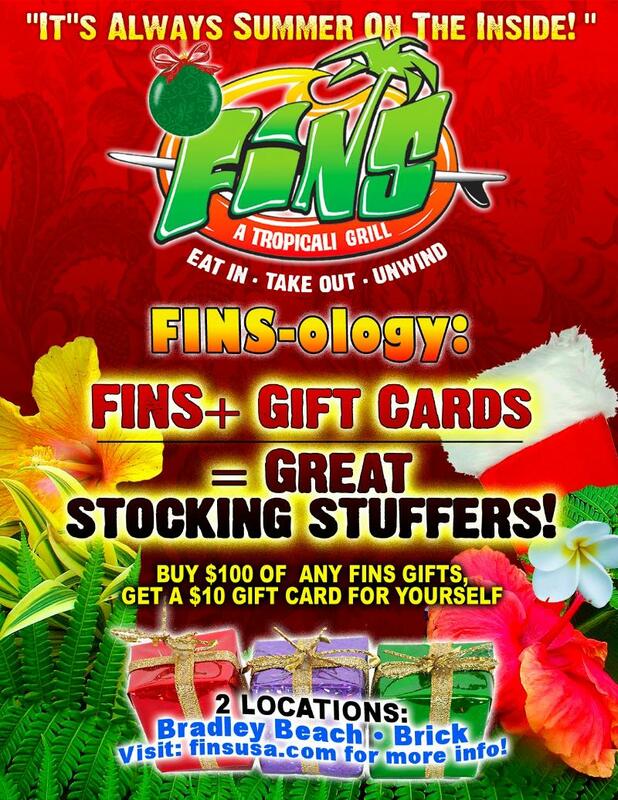 Spend $100 in FINS gifts and you will get a $10 gift card for yourself!! !